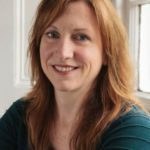 The twentieth-century Scottish Renaissance saw a dramatic change in Scotland’s literary landscape, where our writers increasingly engaged with social and political issues and bestowed, once more, a literary status to the Scots language. 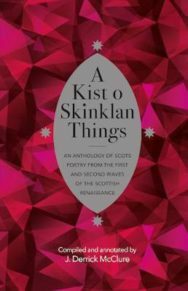 A Kist o Skinklan Things is a brilliant selection of the best work from this period. Reaquaint yourself with some of Scotland’s most inspirational poetry. auld fallals that belanged her grannie’s auntie. sic sma delytes can mak a bairnie canty. that’s like a kist o ferlies gif ye read. our forebears useit, to flyte or scryve or sing. I’d wuss to be a falkner o sic birds.